MOSCOW -- Edward Snowden says he didn't plan to seek refuge in Russia, but his asylum in this country nonetheless baffles members of Russia's press, who are among the people watching his story most closely here. "If you are looking for a country which is more free than the United States, Russia would not be your next choice, I think," said Maria Makeeva, a news anchor and deputy editor-in-chief of Rain TV, an independent television channel based in Moscow. Rain TV has come under increasing pressure from Russia's government, and now faces the prospect of closure. The channel was critical of the Kremlin during the run-up to the Olympics in Sochi, running a series of reports on corruption. Its broadcasts were an irritant to lawmakers in Russia's parliament, which in January officially denounced the station. Shortly afterward, Rain TV lost its major cable contracts, and its audience of 20 million people plummeted to two million. "By the end of February, we were left without our audience and without our advertisers," said Mikhail Zygar, Rain TV's editor-in-chief. During an interview with NBC News, Zygar said he is in favor, in principle, of Snowden's vast disclosures about U.S. spying activities, but, he said, it is hard to understand why Snowden would want to be in Russia. "The reality is I never intended to end up in Russia," Snowden said. Snowden, a former U.S. government contractor charged with violating the U.S. Espionage Act after disclosing secrets of the National Security Agency's spying programs, says he, too, is "surprised" to have ended up in Russia. In an exclusive interview with NBC News anchor Brian Williams, Snowden said that when he arrived in late June in 2013 at Moscow's Sheremetyevo airport, he never planned on staying. But he spent more than a month living in the airport's transit center -- until the Russian government on August 1 granted him temporary asylum. "The reality is I never intended to end up in Russia," Snowden said. "I had a flight booked to Cuba onwards to Latin America and I was stopped because the United States government decided to revoke my passport and trap me in the Moscow Airport." 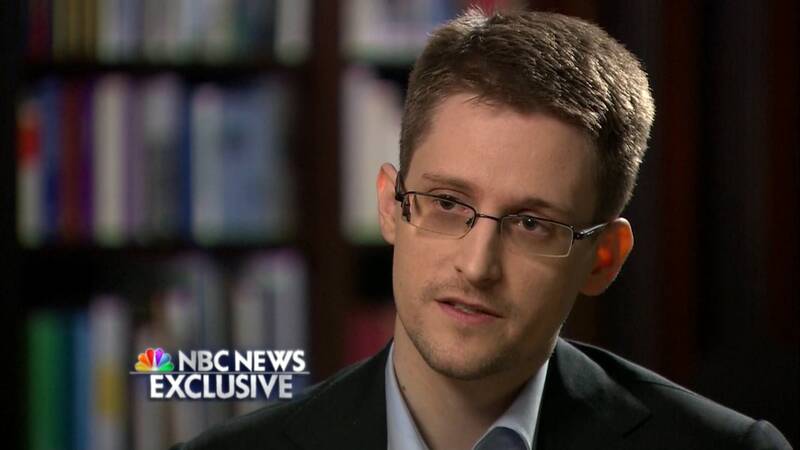 During the interview that aired Wednesday on NBC News, Snowden was critical of the policies of his host county, particularly as they relate to press freedoms. "It's really frustrating -- for someone who's working so hard to expand the domain of our rights and our privacy, to end up stuck in a place where those rights are -- are being challenged in ways that I would consider deeply unfair," Snowden said. "The recent blogger's registration law in Russia, I -- I can't think of any basis for a law like that, not just in Russia but in any country." But, for reporters in this country, where the Kremlin has lately exerted new pressure on media outlets, Snowden has come to represent a puzzling contradiction: a freedom of expression advocate who rails against state surveillance, housed by a regime that watches closely what its citizens say. This contradiction, Russian journalists say, has become particularly evident in recent months. "Over the course of a year a lot of things happened which haven't been -- haven't been too good for Russia's image. And by that I mean the whole thing in Ukraine, which happened right after the Olympics. And, the crackdown on media, which was happening in the same time," said Konstantin Benyumov, a Russian journalist. Until March, Benyumov worked at Lenta.ru, which had been Russia's most popular independent news website. When the website angered the government over its coverage of the Ukraine crisis, Benyumov says, its editor-in-chief was fired and replaced by an editor of a pro-Kremlin website. More than 70 staffers, including Benyumov, quit in protest. Many of Lenta's staffers, who are regarded as some of the best independent journalists in Russia, were recruited into smaller independent media outlets. Benyumov landed at another news website, where he is chief editor. But, he says, Lenta's story is a cautionary tale. "If you are uncomfortable with the official line, there are not many places for you to work these days," he said. There is work available at state-funded media, like the television network RT, which was created in 2005 by federal decree. Funded out of the federal budget and broadcasting in English, its reporting has hewn closely to the Kremlin's messaging on the crisis in Ukraine. For instance, when the Russian parliament voted in March to give authority to Putin to send troops to Crimea, RT reported the vote authorized "stabilizing military forces." (Russia formally annexed Crimea later that month.) RT's editor-in-chief, Margarita Simonyan, rejects the idea the network produces propaganda. "Are you kidding? The Kremlin is so busy," Simonyan said during an interview with NBC News Chief Foreign Correspondent Richard Engel. "I don't know how many times a year they even remember we exist." But on relations between the U.S. and Russia, Simonyan was defiant, casting the Snowden saga as a diplomatic battle of wills. "Russia is showing the world that it's okay to do something that the U.S. really, really, really doesn't want. Nothing will happen," she said. "Do we have to give him away just because the U.S. wants so? We don't think so," she added. 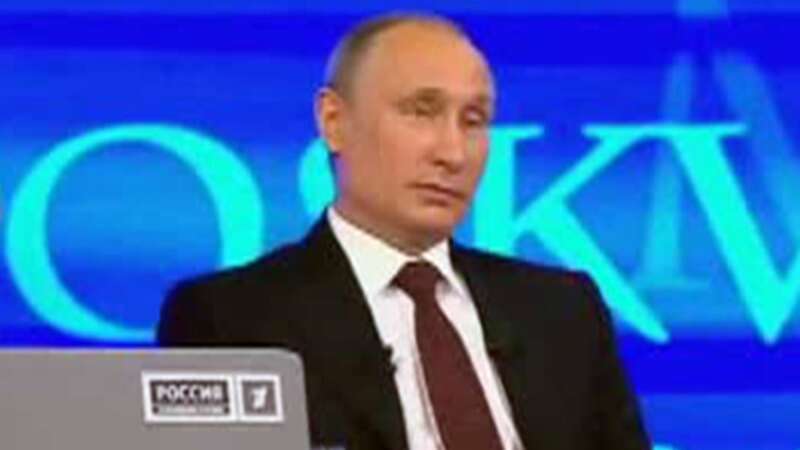 Viewing the Snowden saga through the prism of geopolitics is a common theme on Russian state television. Thursday, on Russia's Channel One, one of the country's largest state-owned channels, broadcasters used Snowden's interview with NBC News to revive a criticism of America's spy services. That line, in turn, echoed Putin's remarks last week at an economic forum in St. Petersburg, where he blamed Snowden's arrival in Russia on the failure of the American government to catch him. “He turned up on our territory because of nonprofessional actions of the Americans themselves, who tried to catch him,” Putin said. Back at the loft-style studios of Rain TV on a recent afternoon, there was the typical activity of a newsroom. Mikhail Zygar, the station's editor-in-chief, emerged from makeup and stepped in front of a camera for his 6 p.m. newscast. A group of producers huddled over a computer, making last-minute changes to scripts. An anxious mood pervades the office, which is housed inside an old chocolate factory in a fashionable district of Moscow. Having lost 90 percent of its viewers over the winter, Rain TV has since recouped nearly half of them. An Internet crowd funding campaign recently hauled in $2 million, enough to keep the channel running for at least another two months. The success of the crowd funding campaign, said Zygar, surprised the staff and pushed it to keep fighting. "Our audience really needs us," he said. Additional reporting by NBC's Maria Stromova.